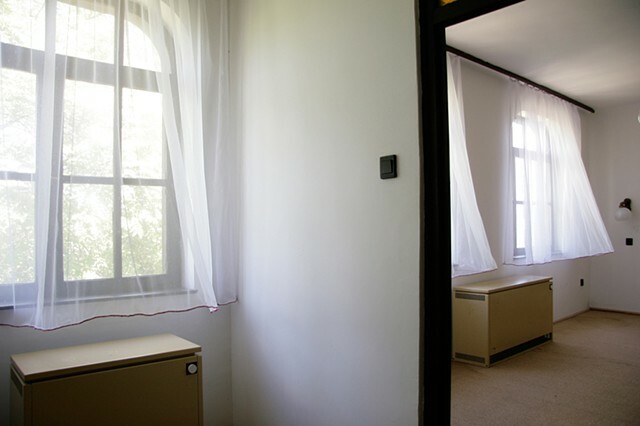 This installation was completed during an artist residency in Csopak, Hungary. I lined the bottom of the curtains with wire wrapped in red thread. The red line weaves throughout the architectural space in suspended form, simulating the effects of the wind.